This is your personal Home Page. It is an overview of your account. 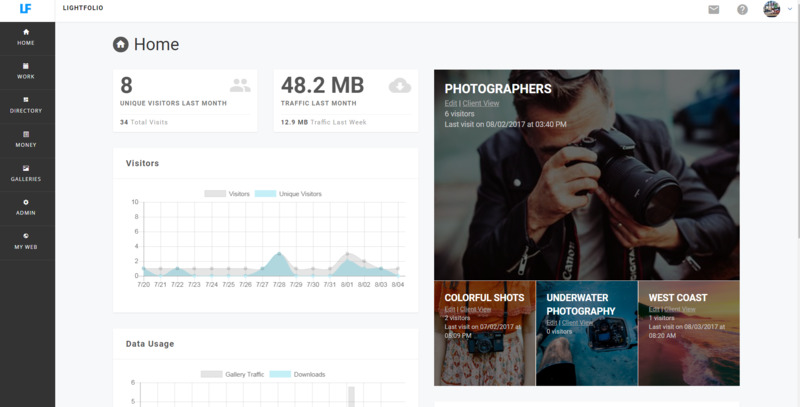 Here you can easily access your galleries or view statistics such as – Downloads, Unique Visitors or Data Usage. This is your Galleries Page. Here you can view all your Galleries. This is your Folder of Images. 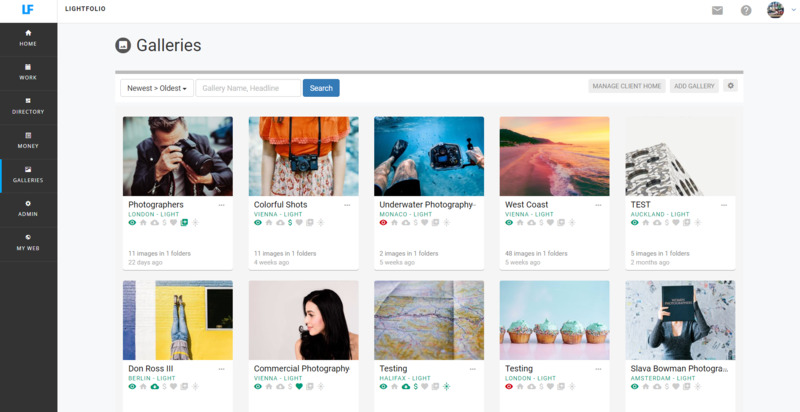 You can have multiple Folders within a Gallery. From here you can delete or upload images. 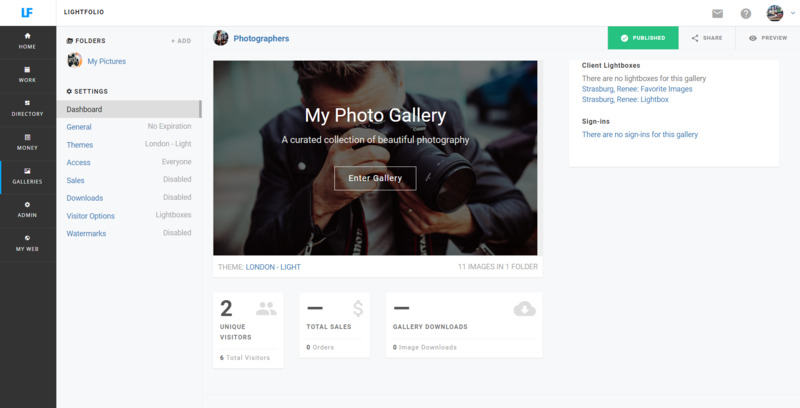 Also, this is where you will be able to choose an Image to make it the Cover for your Gallery.